Where Is the New Indonesia-Spain Military Pact? The approval of a defense agreement has highlighted ongoing security ties between the two sides. 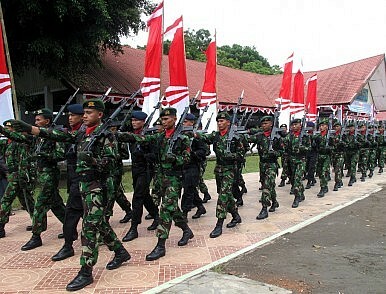 Last week, Indonesia’s legislature finally approved a defense pact the country had inked with Spain several years ago. The development spotlighted the ongoing defense collaboration between the two countries that has been occurring in recent years as Indonesia seeks to develop its ties with a range of security partners abroad and continues on with advancing its domestic priorities at home. Defense collaboration between Indonesia and Spain dates back decades, with both sides looking at cooperation in several aspects, including defense equipment, since the 1980s. That has continued on in recent years, with a case in point being cooperation between the two sides to produce CN-235 transport aircraft for the Indonesian Air Force. As this has occurred, both sides have been looking to conclude a defense pact that would help structure their developing security relationship. An umbrella defense agreement along these lines had been discussed since the 2000s, and a memorandum of understanding was finally inked by the defense ministers of the two countries back in 2013, before current Indonesian President Joko “Jokowi” Widodo took office. Last week, the defense pact was in focus again as the draft bill on its ratification finally received approval from the House of Representatives to be passed into law. According to the Indonesian defense ministry (KEMHAN), the approval happened during a legislative session and was attended by the Indonesian government represented by Indonesian Defense Minister Ryamizard Ryacudu, as is usually the case. In a statement following the approval of the agreement, Ryacudu said that the legal move was a step forward for defense collaboration between the two sides that had been ongoing and included areas of priority for Indonesia such as strengthening its own defense industry and boosting its military capabilities more generally. Ryacudu also said that he hoped that this would further enhance the defense cooperation between both countries in the years that come, noting that global trends such as the rapid progress of science and technology had reinforced the reality of interdependence between countries and necessity for collaboration in various fields including the defense realm. How exactly this plays out between Indonesia and Spain into 2019 and beyond remains to be seen. But developments such as the legal authorization of the defense agreement suggest that this will continue to be in the mix of relationships that Jakarta develops as it continues on with its defense priorities in the coming years. What’s Next for Indonesia’s Submarine Program? The Southeast Asian state continues to try to boost its capabilities on this front despite the difficulties it faces.